Anna's Short Hair Studio is hair game. Elsa, Belle and Cinderella go to Anna's hair shop to make hair. 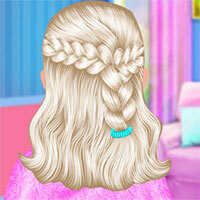 Please support Anna to create youthful and attractive hairstyles for them. Game Anna's Short Hair Studio played 24 times.